A pilot is dead after his plane crashed in Doylestown. The single pilot, twin engine plane, called a Cricket, departed runway 23 at Doylestown Airport Saturday morning and turned southwest. Around 11:45 a.m., it struck wires above Route 611. The ultra-light aircraft split in half with several pieces of the plane landing in trees and across the southwest side of the intersection of 611 and Swamp Road. The pilot and owner of the plane, John Szabo, was the only person on board. Szabo, who neighbors say was a senior citizen from the area, was taken to Temple University Hospital where he was in critical condition on Saturday. "I heard someone telling me they were grabbing buckets of water to dump on the pilot because he was badly burned," said witness, Stephen Kempfe. 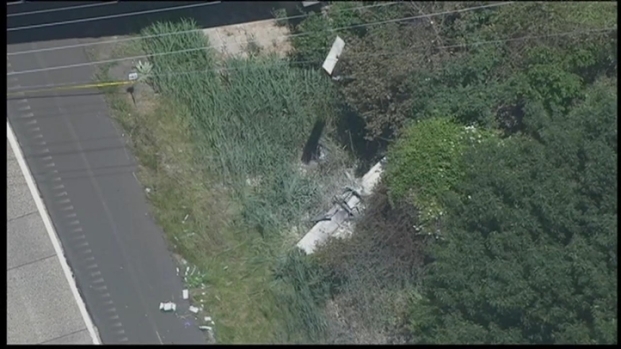 Footage from SkyForce10 of pieces from a small plane that crashed into wires above Route 611 in Doylestown, Bucks County. The pilot was injured in the crash. On Sunday, Szabo died from his injuries. No one else was killed or hurt in the crash, according to investigators. 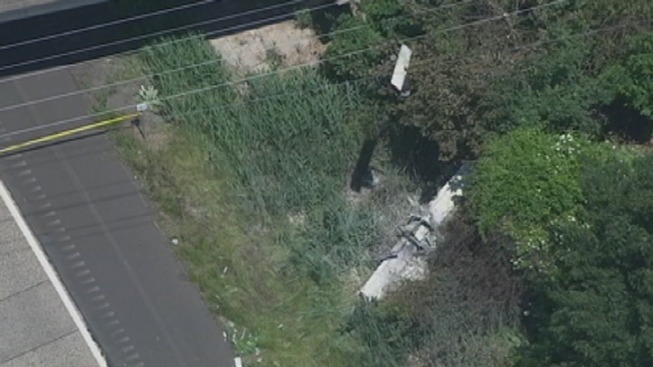 Kempfe tells NBC10.com that he was driving to a nearby store when he spotted the plane moments before it crashed. "I stepped out of my car and I started hearing fluttering," he said. "I looked up and I saw the plane. "At first I thought it was just a really big remote control plane. But then it clicked to me, that wouldn't make sense since it was flying over a populated area." Not thinking much of it, Kempfe walked in and out the store. When he returned to his car, he saw the explosion as the plane crashed into the wires. "I looked to my right and I saw a fireball go up in the sky," said Kempfe. "I was pointing out a sign to another man, I go, 'Look at the sign, it's all burnt!' He said, 'That's not a sign, that's the tail of the plane!'" The National Transportation Safety Board is currently investigating the incident. On Friday, a small plane on a training flight crashed moments after takeoff from a northern New Jersey airport, killing a flight instructor and seriously injuring his student pilot. Also on Friday, three people were injured after a small plane that took off from Northeast Philadelphia crashed into the living room of a Herndon, Virginia apartment.